The Asus EeePC X101 is a much affordable laptops when compared to chromebook b'coz it will be out for a price tag of $200. It can be comparable to chromebook but not to any-other. Let's look into what all it contains for $200.We are not sure about when they ship this. 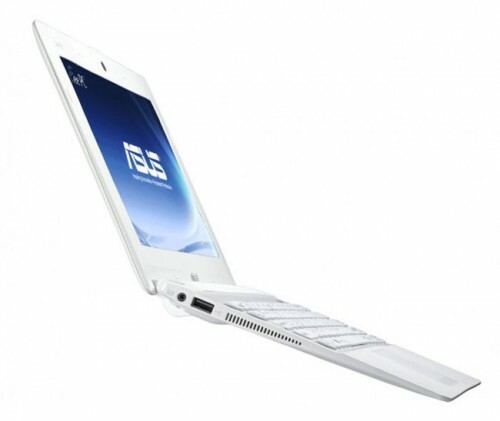 The Asus EeePC X101 has two USB ports and a Micro SD slot but No VGA and Ethernet. 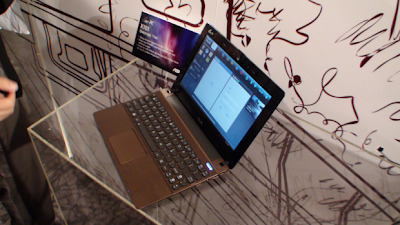 It is powered by Intel Atom N455 (1.6GHz) processor and has 1GB space for storing active programs i.e 1GB RAM and runs on MeeGo OS. 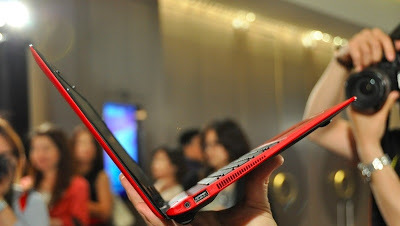 It measures 0.7 inches thick. Available in four colors White, Black, Red, and Brown. There will be an option to put Windows 7 at additional price. 'People' panel gives access to social networks like Facebook, AIM, Twitter, and Flickr. 'Status' panel contains all these social networks feed into. 'AsusVibe' panel is the company's proprietary application that plays all kinds of media. 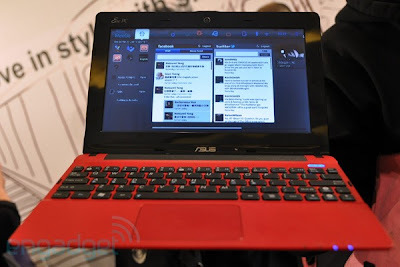 Tags:Asus EeePC X101, Asus EeePC X101 review, Asus EeePC X101 specs, Asus EeePC X101 specifications, Asus EeePC X101 features, Asus EeePC X101 details, Asus EeePC X101 info, Asus EeePC X101 information, Asus EeePC X101 hardware features, Asus EeePC X101 software features, MeeGo os,Asus EeePC X101 pics, Asus EeePC X101 images, Asus EeePC X101 pictures.